We already know you look at yourself in the mirror at least once a day to check out your hair. Which means it’s highly likely you’ve noticed more hair is falling out these days. Did you suddenly age 10 years? Nope—well, maybe, but not because of this. It turns out seasonal hair shedding is a thing, and it’s most active during the end of summer and into fall. A study in the British Journal of Dermatology found that we do actually lose more hair during those two seasons, Time reported. The researchers at Johns Hopkins University who conducted the study say they knew from previous small studies and dermatological patients’ complaints that seasonal hair loss was real. But they wanted to expand the sample size, so they looked at Google Trends search data between 2004 and 2016 from eight countries globally. They found that temperature and light do play a part in hair loss worldwide: Late summer and fall are indeed when most people search the term “hair loss,” which also correlates with when doctors report patients mentioning it most often. Medical Daily adds that hair may also exist to protect our scalps from sunburn, so in the shorter days at the end of summer and into the fall, we’d also need less hair. 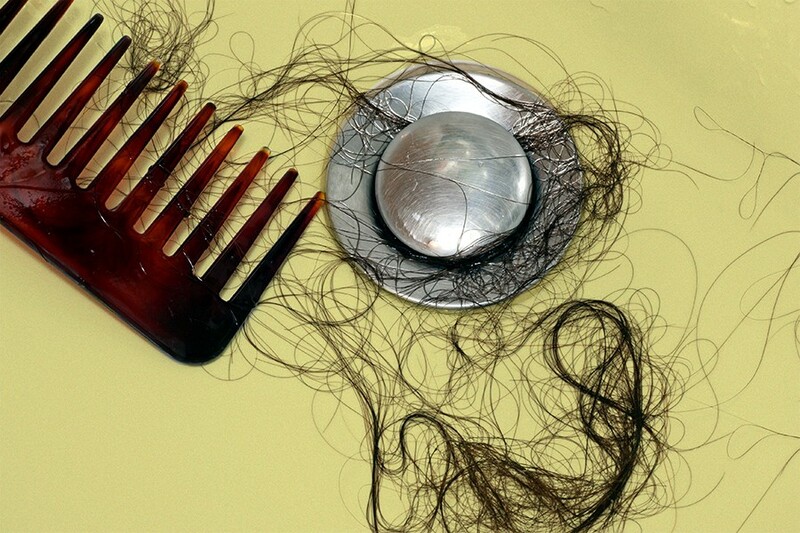 They add that losing 100 hairs a day is normal, and as things get colder, the hair loss will stabilize. That said, it’s anyone’s guess how you know if you’re shedding more than 100 hairs a day. But if you think that’s the case, you can either see a doctor to look for any abnormal causes of hair loss—or start a lucrative side business making jewelry or art out of it.